Presented by: Gareth Jones, Richrd Porter & Zog. 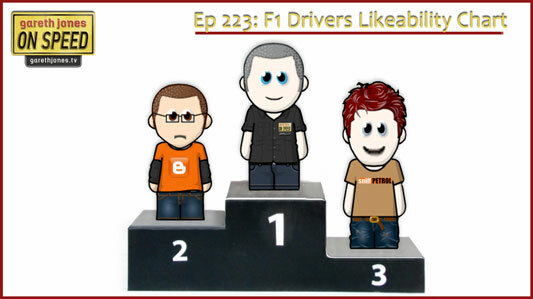 #223 Lewis leads the championship, but who leads the Drivers Likeability Chart? What makes Ricciardo brilliant, and what are Lewis’s insecurities? New F1 abbreviations. Plus Sniff Petrol on Adrian Newey, dancing with Maldonado, and the King of Australia.